Echocardiogram vs. EKG – What Are They? When considering echocardiogram vs. EKG its important to have a basic understanding of both tests. Both the echocardiogram and EKG are very important and are commonly used heart tests that are instrumental in diagnosing various forms of heart disease. The echocardiogram is an ultrasound of the heart that provides moving pictures and provides information on the structure and function of the heart. The EKG is a heart tracing that mainly provides information on the rhythm of the heart. Both tests are often used in conjunction and are complimentary to each other. Echocardiogram is also known as an ultrasound scan of the heart, an echo, or sonar of the heart. EKG is also known as an ECG, a 12 lead EKG, or an electrocardiogram. Below we discuss the differences in performing an echocardiogram vs. EKG. Both of these tests are considered non-invasive cardiac testing. Patients are not expected to feel any pain from either test. This is in contrast to invasive tests such as heart catheterization. 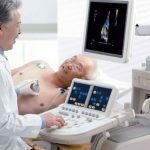 Echocardiogram vs. EKG – When Are They Ordered? The EKG is the most commonly ordered heart test. Basically every patient every evaluated for a heart related issue or heart related symptoms get an EKG. The echocardiogram is also very commonly used but not as common as the EKG. The EKG can also be considered a screening test that is done in almost everyone that has a history and physical. The echo is more specifically ordered when there are signs and symptoms of heart disease present. Echocardiogram vs. EKG – How Are They Done? EKG – 10 small sticky pads on various places on the chest wall then leads from the EKG machine are attached. These leads transmit data that use the electrical activity of the heart to generate a tracing. For some men, chest hair may need to be shaved in places to improve contact and ensure a good tracing. Echocardiogram – Patients are given a gown to wear and lie on a table specifically designed to perform the echocardiogram. Patients will typically lie on their left hand side. Ultrasound gel is applied to various areas of the chest wall then the ultrasound probe placed on the chest and the pictures taken. Echocardiogram vs. EKG – How Long Do They Take? EKG – The test itself takes about 5 minutes. Most of that is applying the leads; the tracing itself takes seconds to generate only. Echocardiogram – In most cases about 20 minutes is needed to complete the test. 5 minutes of that is likely spent in preparation and 15 minutes used to take the pictures. In some cases depending on the specific information required the test can take longer. Echocardiogram vs. EKG – What Information Do They Provide? The EKG is a heart tracing. It provides information on the rhythm and rate of the heart. Outside of heart rhythm disorders, abnormal heart tracings can point towards various disease states. Hearth rhythm disordered may include fast heart rate (tachycardia), low heart rate (bradycardia), heart blocks; irregular heart beats (atrial fibrillation). In addition it can provide clues regarding enlargement of heart chambers and heart muscle abnormalities. An extremely important use of the EKG heart tracing is in the evaluation of suspected heart attacks. The EKG is the emergent test of choice in patients with chest pain. The echocardiogram is an ultrasound scan of the heart that shows moving pictures that show the structure and function of the heart. It shows accurate information on the heart pumping function and heart chamber sizes. For this reason they are a valuable test in the evaluation of heart failure. Echocardiograms also provide highly accurate information on heart valve function. 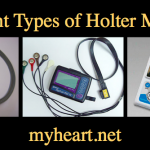 They can be used to identify leaky or tight heart valves. While the EKG can provide clues to many of these diagnoses, the echocardiogram is considered much more accurate for heart structure and function. Importantly in most cases of an abnormal EKG an echo will be ordered. For example if a patient presents with palpitations and an irregular heart tracing is picked up, the patient will be sent for an echocardiogram also to evaluate for underlying structural of functional disorders that may be the cause of the rhythm. 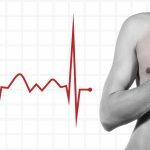 If a patient has chest pain and the EKG suggests a possible heart attack or blockage, an echocardiogram will likely be ordered to see the extent of the damage. Hopefully this article has helped to explain echocardiogram vs. EKG. I’m 54 male with 48pm on ECG it says abnormal ? Due to voltage can you explain what this means do I need to worry ? Have a healthcare provider glance at the EKG and interpret it. Machine reads are often useless and shouldn’t cause concern in isolation. I’m a 20 year old female and had a ekg 3 times all came back abnormal. Have a heart murmur sent me for a echo and came back with a finding of a increase flow velocity in the LVOR and trace mitral regurgitation, trace tricuspid regurgitation and trace pulmonic regurgitation. My whole chest feels heavy and aches. Hard to breath and left did of chest I have pains and right. Sometimes have vibration sensation in my chest. I am sorry but there is an error. Only ten “stickers” are placed on the patient’s body which produce 12-leads. I have a question which none of my medical care folks have been able to figure out. I had a STEMI heart attack 90 days ago, had a stent placed in my LAD and I am in cardiac rehab. At home I have a really nice exercise bike with a built in heart monitor (that uses a chest strap). Prior to the heart attack, the chest strap and monitor worked perfectly on me. After the heart attack the heart monitor does not work. I had my wife try the bike using the chest strap and it works perfectly on her. For me, it picks up no heart rate. I have been diagnosed with PVCs on my ECGs. Are these PVCs the cause of the heart rate monitor on the bike not working? The other night my resting heart rate was 48 and I was just feeling bad and having heart palpitations so I went and bought a Fitbit to track my heart rate and I have been wanting one to help me get in shape anyways. But it is reading my resting heart rate as 54 and I am not in shape at all. Last night I was feeling short of breath and I occasionally feel dizzy but I also have an anxiety disorder so idk if its all in my head or if I have heart problems. I have a doctors appointment today but I was just curious what your opinion is. Thank you!